Hey, my cloud Mango instance has decided to pin the CPU at 98%. Not entirely sure how long this has been going on but I've had this happen before. I ended up upgrading the EC instance to a higher tier, I now have 2GB of RAM, only 300 points. What can I provide to figure this out? INFO  2018-02-20T05:00:00,015 (com.infiniteautomation.nosql.maint.MangoNoSqlBackupWorkItem.execute:130) - Starting Mango NoSQL Backup WorkItem. INFO  2018-02-19T00:05:00,013 (com.serotonin.m2m2.rt.maint.work.BackupWorkItem.execute:101) - Starting backup WorkItem. INFO  2018-02-19T01:05:00,019 (com.serotonin.m2m2.rt.maint.work.DatabaseBackupWorkItem.execute:109) - Starting database backup WorkItem. 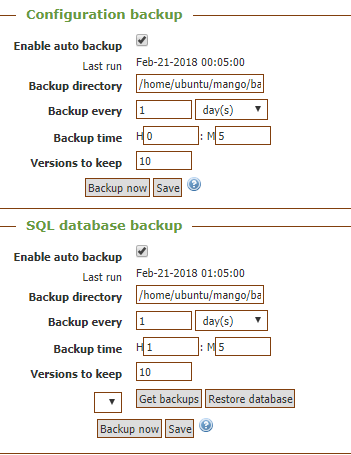 INFO  2018-02-19T05:00:00,288 (com.infiniteautomation.nosql.maint.MangoNoSqlBackupWorkItem.execute:130) - Starting Mango NoSQL Backup WorkItem. If you don't have it set, you could set it and restart Mango, that would help prevent getting into this GC thrash. 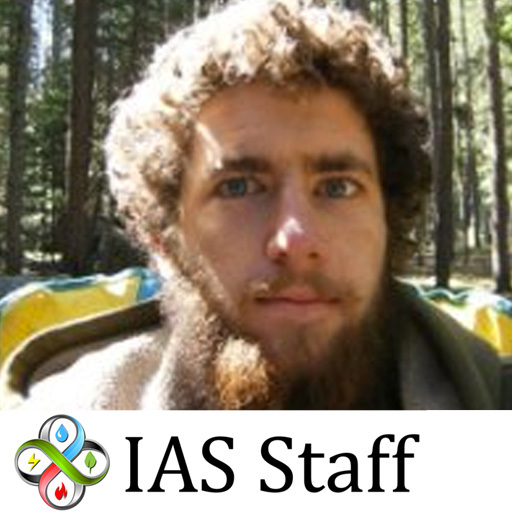 It's not easy to know where those resources would be going offhand. You can try to download stack traces from /rest/v1/threads?asFile=true&stackDepth=40 to see if something other than the GC thread is eating the time. If you wanted to grab three or four of those and email them to support, I'll take a look. You should be able to use /path/to/jdk/bin/jmap -histo $(pidof java) > output which you could then also send to us to check out. If you have any internal points that will tell you either when the memory was allocated or when the CPU pegged, you can investigate for reports or backups or whatever could have run then. Hey Phil, I was actually looking at some ways to accomplish the CPU load to file on linux. What's the script you guys use in the ES? Cause ya, my first thought was I would like to know when this started and put an alarm on it as well. As far as the ext-enabled, I do have it set, it's set to 1.5GB for mango out of 2GB total. I know that's high but I didn't want to have more issues. The weird thing is it ran fine for a long time. I'll get you that other info. I emailed you the requested files. I'll change my memory allocation to something like 1GB and try that. The one thing I changed last week was I added several meta points. The script is below. Is there some possibility that there is some kind of memory leakage or my script is causing issues with no releasing memory properly? This is a debug version of the script, I was going to get rid of the multiple date declarations and all the LOG code. However, only one instance of the script actually has LOG enabled so all the other ones are useless. There is only about two dozen of these points atm. // a five day period. 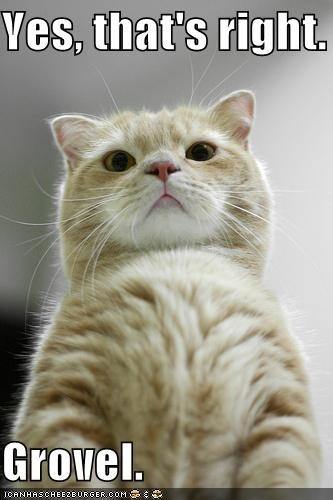 EDIT: Nevermind, my ext-enabled is set to 512MB min and 1.2GB max. I've set both to 1.2GB now. I also had the concurrent garbage collector thing in there based on another thread I found before I upgraded this instance. I would restart the instance. OK well, mystery solved! So that was in the thread dumps I provided huh? It'd need a second frame where i'm doing the less glamorous things cats do! I confess I briefly tried to find a cat wearing a mango for a helmet like the limecat just now, but no such luck. C'mon internet! Hey Phil, I just logged in to have a peek at the system and look at the memory! What is going on with this thing? Is that a red herring? It seems nuts though that the it would be using 4GB of memory, either physical or virtual. And what, you may be thinking, runs at those hours? And I thought there was something like a cleanup thread somewhere but I can't find the settings (does it exist?) anywhere. So out of all this quick question so that I understand. Can you just quickly cover what, in this context, the SQL and NoSQL are responsible for? If I'm using NoSQL I understand all my point history is going there, but there is still the config database (ie all the tables for the mango config) somewhere right? Does that SQL backup refer to the config database as well as historical if you're using the non-NoSQL version? Is it running poorly? I didn't really look into the jmap output because the infinite loop was the clear offender. If your CPU usage is low, I wouldn't worry about it. Java is often quite lazy in freeing memory, since it reasons it can do more if it waits for more to do (but of course it depends on your collector, though I would think you probably want the default from what I've seen). 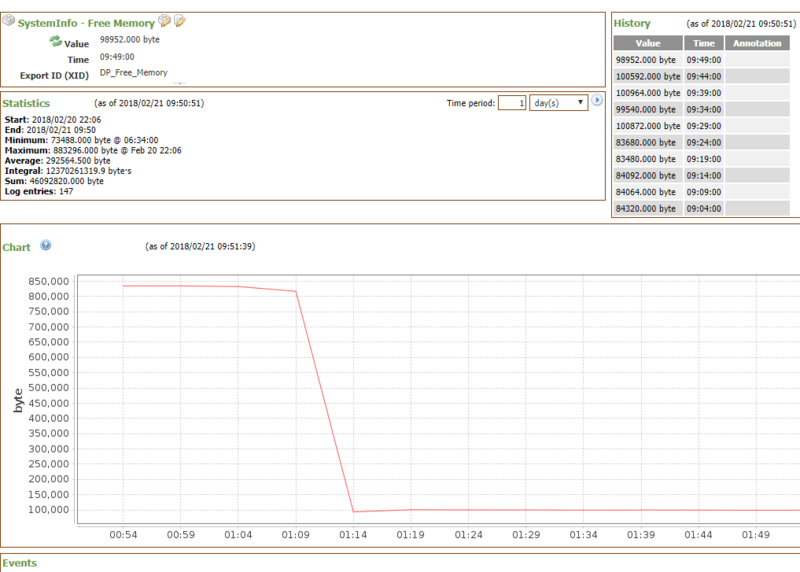 Some of that virtual memory may be handling the mapped byte buffers for the output streams to the NoSQL, I'm not sure. is it experiencing issues? The easiest way to get time slices of the heap state is the jmap histogram. One can also hook up jvisualvm easily enough and get live heap information if you have a reason to be concerned. From your chart, it looks like the SQL backup would have been the offender. Is your database large? You could attempt to shrink it. 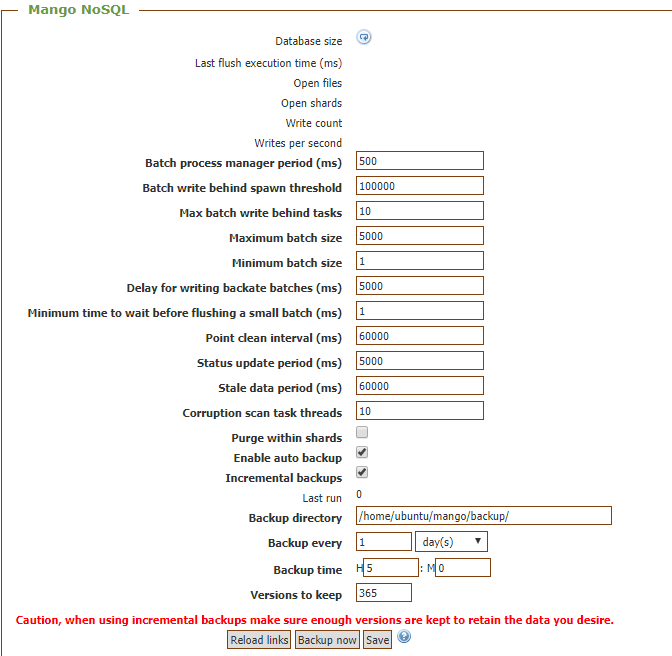 In the context of backups, the SQL backup does a complete SQL dump of the Mango tables and zips that up. Everything other than point values (and point value json data, but I don't think many people have played with that, and old HTML report data) is stored in the NoSQL database. It's backups are zips of either the whole database or just the files that have updated since last backup. Offhand I'm not sure what you mean. The "Point clean interval" in the NoSQL settings closes file streams for points that haven't written data in some amount of time. Otherwise for efficiency sake the file is held open because it will receive more information.